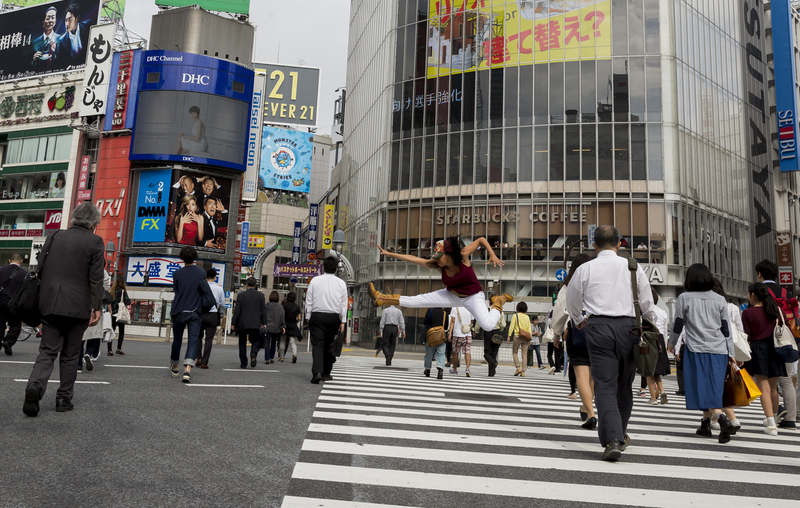 This past September, Professor Crystal Frazier walked into a Tokyo dance studio to teach a distinctly American art form and immediately encountered a vibe that was uniquely Japanese. A class of 40 college students stood eagerly at the ready – respectful, disciplined, hospitable. The music began to play, and an interpreter, earnest to translate, barely needed to speak. For the next three hours, hip hop would be the vehicle to move bodies and relationships across cultural lines; dance would be their universal language. 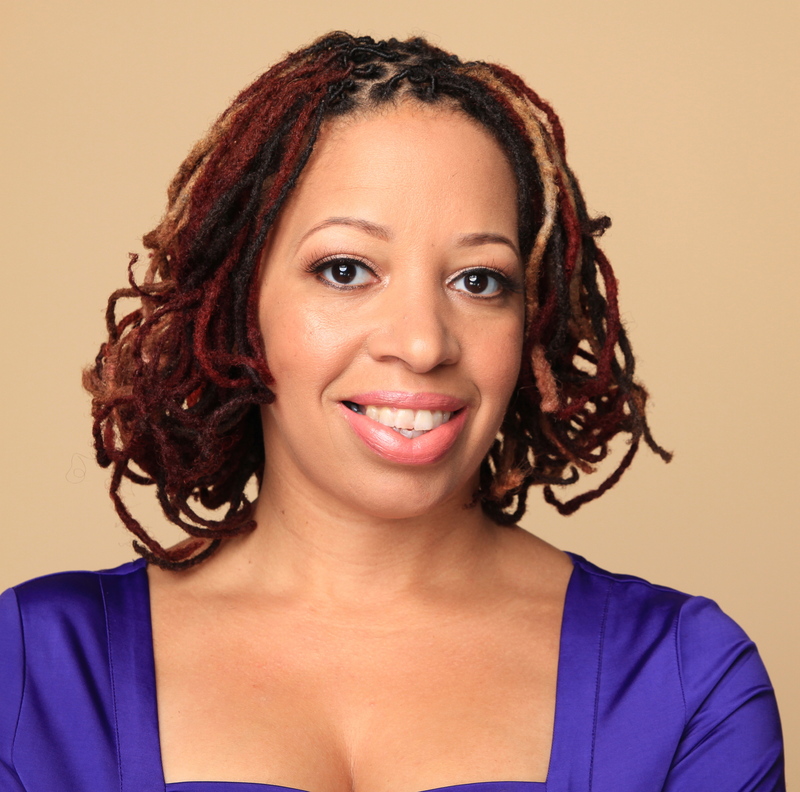 Frazier, an assistant professor of dance who specializes in tap and Afro-fusion dance as well as hip hop, was present in that studio due to her selection by the Dance International Workshop Program to teach in Japan. Her four-week teaching and dancing tour of colleges in Nagoya, Osaka, Fukuoka, and of course, Tokyo, imparted not only the movement of hip hop but its history and social significance, too. To her delight and surprise, her Japanese understudies fully embraced the American art form and their American guest professor too. Hip hop would be the vehicle to move bodies and relationships across cultural lines; dance would be their universal language. “It was incredible,” gushes Frazier who has taught at Hope since 2011. “I was struck by the discipline of the students alone. They focused intensely and were very respectful. There was no fiddling around. They were always ready to go and then for an entire class, they listened and engaged. And when class was done, they cleaned up the room for the next class. I was blown away. Frazier taught them then—this time relying more on her interpreter—that hip hop started as an art form in the U.S. in the late 1970s. Purely defined, hip hop is an umbrella culture consisting of five elements (MC-ing, DJ-ing, breaking, graffiti, and knowledge). It broke on the scene in the south Bronx of New York City, and since then it has expanded to nearly every American region as well as internationally. Though it has several sub-styles such as lyrical, soul, and femme, hip hop is hip hop to Frazier—a singularly named dance style demonstrative of high energy and emotion. That was her main lesson to impart while in Japan. Fortunately, hip hop has been deeply appreciated by the Japanese for some time, Frazier found. “Sometimes I think they love it more than people in the States, only because we can take American things for granted,” says the effervescent Frazier who dances professionally still for Rennie Harris Puremovement, an American dance company of hip hop artists. Though she feels that Japanese teens and young adults gravitate to hip hop, she also felt, and experienced, a lack of social dancing in Japan. This difference in culturally and publicly accepted dancing struck Frazier as profoundly as the respect and discipline her students displayed in class. 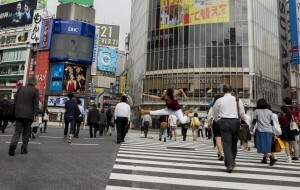 It is a concept foreign to her, this idea of reserving dance mostly for the studio and stage. Move and groove. This is a hip hop dancer’s mantra. And it is one Frazier aspired to leave behind in Japan.